Madison Realty Capital (MRC) closed a $28 million first mortgage loan collateralized by a 191,676 s/f Class A medical office building located in The Heights neighborhood of Houston, TX. 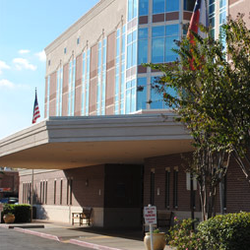 The borrower, a joint venture of two Houston-based medical office development firms, used a portion of the loan proceeds to refinance previous debt, and the remainder will be utilized for building renovations and tenant improvements. “We continue to seek quality loan opportunities through our national platform, and this transaction is a great example,” said Josh Zegen, Co-Founder and Managing Principal of MRC. The property, located at 1917 Ashland Street, is currently 95 percent leased to medical tenants, including St. Joseph Medical Center and CuraHealth. In addition to the main building, which serves a wide variety of patients and medical specialties, collateral for the MRC loan includes three non-contiguous nearby land parcels that are currently used as parking.